Daniella Lock is an LLM student at University College London. She is a former intern of the Bingham Centre for the Rule of Law where she completed research on national security policy. 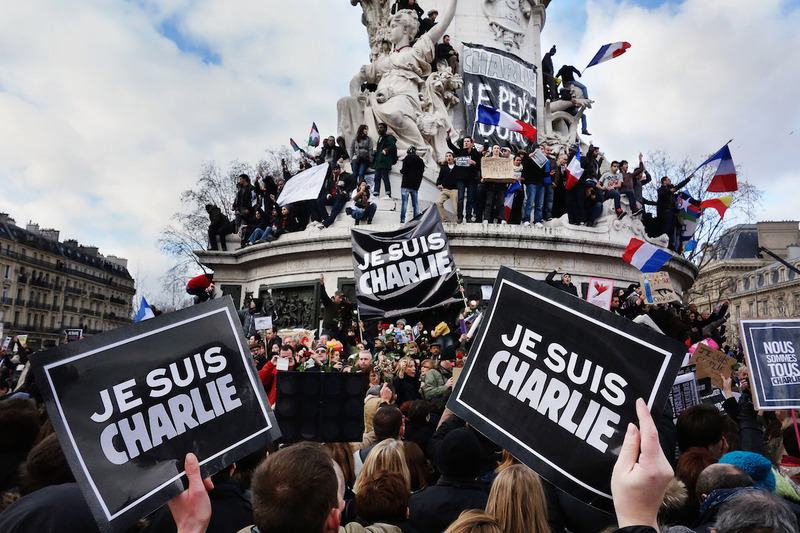 Many have spoken out in defence of freedom of expression in response to the recent attacks at Charlie Hebdo magazine. David Cameron stated that the shootings were “a challenge to the values of free speech, freedom of expression, democracy, tolerance that we believe in and the best way to stand up for these values is to repeat our belief in them”. Other members of the UK government have made similar statements affirming the need to protect freedom of expression from acts of terrorism. This position seems like the right one. However, the expressed position of the government does not sit well with the changes proposed by the Counter-Terrorism and Security Bill. As has been recently highlighted by organisations such as Cage and reported in the Times Higher Education, these proposed changes could constitute a serious attack on freedom of expression that would affect universities and other public institutions nationwide. The Bill has been sped through parliament. After being considered by the House of Lords in the second reading, it is now awaiting the committee stage due to take place on January 20th. Concerns have been raised about the potential impact of the changes on a number of human rights. Part 5 of the Bill in particular contains specific changes that may have implications for freedom of expression. Clause 21 would impose a general duty on all “specified authorities” to have “due regard to the need to prevent people from being drawn into terrorism”. The specified authorities are outlined in Schedule 3 and include councils, universities, schools and providers of probation services. As the Telegraph recently noted, nurseries and early years care providers are also included. Clause 24 of the Bill would empower the Secretary of State to issue guidance to the specified authorities on how they may perform their duty. Clause 25 would give the Secretary power to issue directions when he or she is “satisfied that a specified authority has failed to discharge the duty imposed on it by section 21(1)”. Such directions could then be enforced by a mandatory order. These proposed amendments would give the Secretary of State far-reaching powers, for example, to dictate which university-organised events may take place or to influence who is able to speak on campus. Such powers are not reflective of a society which values freedom of expression. Article 10 of the European Convention of Human Rights expressly protects the right to both “receive and to impart information and ideas”. These rights are supposed to be protected “without interference by public authority”. As cases such as Handyside clearly indicate, such protection extends to ideas which “offend, shock or disturb the State or any sector of the population”. While freedom of expression may occasionally be qualified in the interests of national security, it is not at all clear that the threat currently faced by British society is so grave to justify effectively censoring universities. The purpose of universities and schools is to facilitate learning. An undeniable feature of this is discussion and debate about controversial issues – including those that challenge western political consensus. To place limits on the extent to which such discussion may take place would hamper the ability of students to gain the most from their education. This is too high a price to pay for national security in the current climate. Institutions of higher education are important not just for students but for our country as a whole. Their role is to provide an environment for critical engagement with all issues relevant to society. It is precisely by restricting such critical engagement that ideas considered ‘extremist’ become shielded from scrutiny, and so are more likely to become influential. Given this, the fact that the Paris shootings emphasised critical discourse as a bulwark against oppression is clearly to be welcomed. In response to this event, our government has made public statements communicating its commitment to freedom of expression and its importance for counter-terrorism. If this really is its position, then it seems the Counter-Terrorism and Security Bill requires immediate amendment. This entry was posted in Editorial, Law, Politics, United Kingdom and tagged counterterrorism, Education, free speech, human rights, Legislation, national security, politics, radicalism, terrorism. Bookmark the permalink.